There are a number of reasons that an individual may start to use drugs or alcohol. These reasons are not mutually exclusive and a person could start using substances for one reason but continue for another. They may start due to curiosity after seeing friends or family members use substances. They may start out of boredom and a want to fill their time, or they may start because they want to fit in and all of their friends are doing it. Yet, there are still others that start using substances in order to alleviate pain or the symptoms of some underlying condition, whether it is physical, mental, or emotional. Often they may find later on that they were using drugs or alcohol to assist them in coping unsuccessfully with an underlying co-occurring disorder. This falls under the category of dual diagnosis. Self-medication is a common precursor to the development of alcohol and drug addiction. The idea behind the self-medication model of addiction is that people will begin to abuse substances in order to compensate for underlying issues that have not been properly dealt with. Often times these people suffer from some mental health or emotional illness that has been left untreated for quite some time. Many times these individuals reach a point of hopelessness and begin to seek out possible solutions that can help to relieve their symptoms. This leads them to seek out substances in order to ease their suffering and in time they can become addicted to those substances. This raises the question, why don’t these people just seek out the professional help that they need rather than turning to drugs and alcohol as a means of therapy? There is no single answer to this question, but many people who self-medicate as a means to alleviate symptoms of some other underlying condition are not even aware of the condition in the first place. This may sound strange, but a person who has been suffered from racing thoughts, an inability to concentrate, or depression may have been suffering from this for so long that they are not even aware that they should seek professional help for these symptoms. Once they are introduced to drugs or alcohol they notice the effect that these substances have on them and they begin to self-medicate almost unknowingly, because they see an improvement in their life.Besides this, it is also sometimes difficult for someone to admit to themselves that they may need help. This difficulty can cause someone to choose to self-medicate rather than seek out treatment options that are available to them. On the other hand, there are those that have sought help but didn’t like the effects that the medications they were prescribed had on them, so they stopped taking them, only to find what they thought was the answer in drugs and alcohol. The problem, as we all know is that drugs and alcohol eventually turn on a person, causing potentially worse problems than the underlying condition ever could. Luckily, there is a growing understanding of the importance of dual diagnosis programs in the treatment industry and with it, many people who suffered needlessly are now able to get help. Dual diagnosis is a term used “when a person has a mood disorder such as depression or bipolar disorder and a problem with alcohol or drugs.” A person with a dual diagnosis has two separate illnesses and as such, they need to treat the illnesses separately. For some alcoholics or addicts their depression, OCD, or anxiety go away once they get sober, but for someone with a dual diagnosis just getting sober isn’t enough. Many times a person who has a dual diagnosis that is not addressed can relapse after a period of time because they are left to contend with their underlying condition without their solution, drugs or alcohol. Studies have shown that about a third of people who have some sort of mental illness also have substance abuse issues, and half of those with a severe mental illness have a substance abuse issue. So it is important to diagnosis any and all underlying conditions in order for someone with a dual diagnosis to achieve and maintain sobriety. Dual diagnosis treatment is fairly new to the field of addiction treatment therapy. Before the 1990s people who experienced a mental health condition were treated separately from those who had substance abuse issues. This is not the case today and there are a number of treatment centers that specialize in dual diagnosis programs. You can find a list of these facilities by contacting your insurance company or if you are currently seeing a therapist or psychiatrist, by partnering with them. 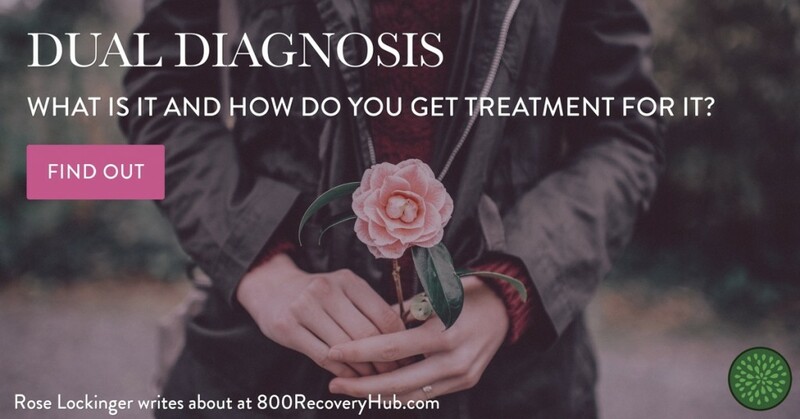 While many dual diagnosis treatment programs are similar to substance abuse only programs, they differ in that they focus on treating both the addiction and any underlying conditions that may be exacerbating it. Getting the individual safely off of drugs or alcohol is the first step in any substance abuse treatment program. For people who may be suffering from a dual diagnosis, this is important not only because recovery cannot begin until the substances have left the body, but also because it is difficult to get a proper diagnosis if drugs or alcohol are still in the system. During this phase of the treatment program a person is introduced to recovery and if it is a dual diagnosis treatment program, they are also diagnosed, given medication, and the proper psychotherapy. The psychotherapy that is needed for a dual diagnosis patient is usually a higher level than for those with just substance abuse problems. After inpatient treatment is done the individual is usually discharged, either to an outpatient level of care, or completely stepped down out of the program. This does not mean that they are done, though, and they are usually strongly encouraged to continue to go to support groups and maintain a relationship with a therapist and psychiatrist. These three things can make a world of difference between overcoming their addiction and mental health issues and falling back into old destructive patterns. If you think that you may be in need of a dual diagnosis treatment program there is nothing to be ashamed or scared of. There are many people who have been in the same boat as you and they got the help they needed and are now living better lives because of it. There is no need to suffer in silence, so seek the help you need today. Reblogged this on Sensible solutions to problem drinking. Brilliant, insightful, helpful, and very true. I have had Borderline Personality Disorder for years, and didn’t know it until a few months ago. Now I know what’s really wrong with me, I no longer feel the need to abuse alcohol. Super important and relevant post…as usual.